The attraction features Tony Stark’s Hall of Armor. 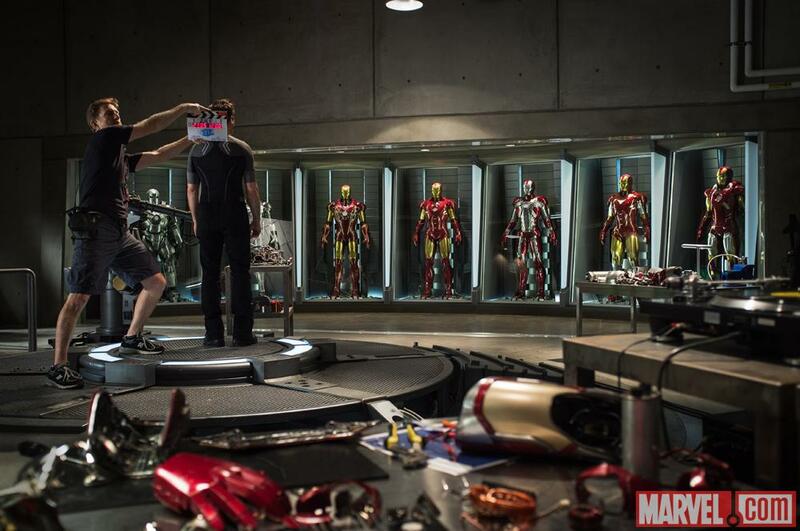 It showcases the suits in the previous films, and the current Mark 42 suit that’s featured heavily in the Iron Man 3 trailers. People are able to find their inner Stark — sans alcohol — by virtually suiting up on screen through Kinect technology. The attraction also has pieces of armor that took battle damage from all three Iron Man movies. Iron Man Tech Presented by Stark Industries opened today and supposedly continues into September. This means I’ll have to make a trip to Disneyland soon. And personally, I hope it becomes a permanent attraction. You can check out photos from the attraction on Collider, HERE.